Prevents reverse current flow (discharge), in Solar and DC wind turbines. Works with 12 volt through 600 volt systems. A truly needed product for today's larger scale alternate energy systems. 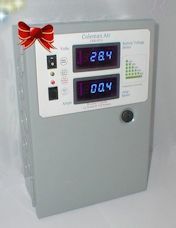 This unit incorporates two high amperage (85A), 600V diodes, resulting in a very capable 170 amp unit. 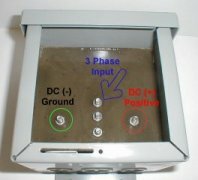 By using an insulated back plate, the diodes are fully insulated from the enclosure, preventing ground loops and lightning paths. This feature is not available in other units that we are aware of. The two installed diodes are capable of running at 170 amps for short intervals, or 120 amps continuous at nearly any voltage your energy system might produce making it perfect for large solar arrays with high wattage outputs, and high wattage DC turbines. Please note, the diodes are rated at 85 amps each by the manufacturer (International Rectifier). 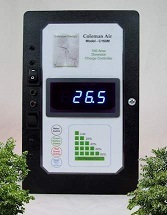 Coleman Air has not tested these diodes at this level as we have no method of producing such high current flow in our lab; therefor, we are relying solely on the manufacture's testing and rating of these diodes. Why do I need a blocking diode? Solar panels require some form of reverse flow protection or they will discharge your batteries at night. DC wind turbines require a blocking diode or the batteries will actually attempt to turn the turbine backwards in light or no wind conditions. If you have a three phase AC output wind turbine, you do not need a blocking diode, instead you need a 3 phase rectifier, please see our store listings for three phase rectifiers. 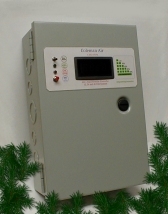 Solid state solar charge controllers often have built in reverse current flow prevention and therefor you may not need a blocking diode with some solid state charge controllers. Most diversion controllers utilizing relays and/or solenoids do not prevent reverse current flow, and thus a blocking diode is required with many diversion controllers. This blocking diode is also useful for single phase AC hydro and wind turbines. The enclosure is heavy gauge, solid steel, rain tight enclosure - Ready to mount. -- No plastic, no junk, simple and rugged. -- There are three punch outs on bottom side of the enclosure. 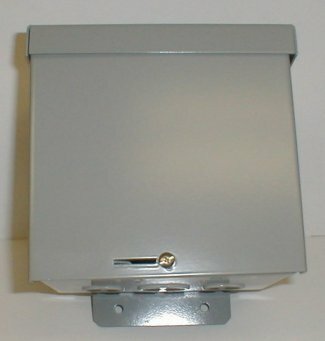 Cover can be installed with or without slot for lockable latch. Does it handle the current you require? Do they include an enclosure? Is the enclosure weather tight. Is the enclosure and diode insulated (lightning proof)? It the diode capable of shedding heat? Do they include any hookup documentation? 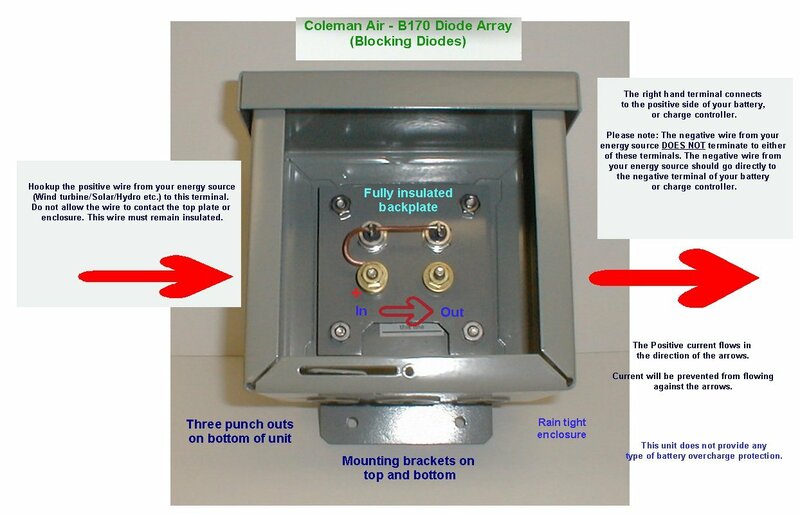 Click here to download the wiring/hookup instructions B170 Instructions. Our shipping charges are basically what it cost us to ship. International shipping rates via the USPS for this weight are much higher than you might expect. Please click HERE to view just how much these charges are, and you will see that our rates are just what it cost. We would charge less, if it cost us less. Due to major delays in customs, we no longer ship to Italy. To our International customers. We cannot misrepresent the price of the products being shipped to you. You are responsible for any and all tariffs, duties or import fees imposed by your country or customs. Returned items must be in their original condition and fully resalable. Returns may incur a 20% restocking fee. Damages that occur during return transit will be liable to the buyer. Buyer is responsible for all tariffs, customs fees, VATs. By popular request, here are a few documents that show just how all of these components tie together. If you have any questions, please do not hesitate to ask, we are happy to help. Wind and Solar Controllers, Electronics, Hardware & Accessories perfect for the DIY'er. 3600 watts User settable trip point. Now with direct relay termination lugs. 440 Amp 12, 24 or 48 volts. High contrast LED battery meter with on/off switch. 10,000 Watts! 8 x 12 Hoffman Box. 8.5 to 100 volts - No separate power required. 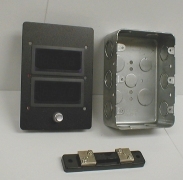 3 Gang Switch Box. 440 Amp (In rush) Solenoid 12, 24 or 48 volts. High contrast LED dual volt/amp meters with on/off switch. Factory wired for both wind and solar. 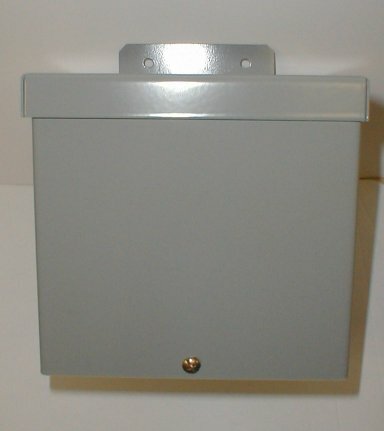 8 x 12 Hoffman Box.